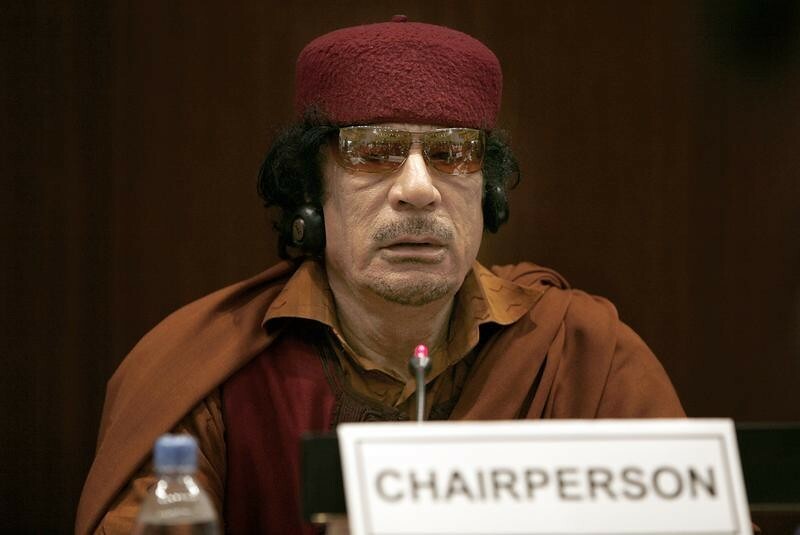 October 20, 2011 was the day on which longtime Libyan leader, Muammar Gaddafi, was deposed. Six years on, news about the north African country has been a mixture of chaos and anarchy despite global efforts to put it back on track. Six years after he was captured and killed in his home town of Sirte, we look at some highlights of his reign and present a dozen pictures that chronicle his time as leader of Libya. 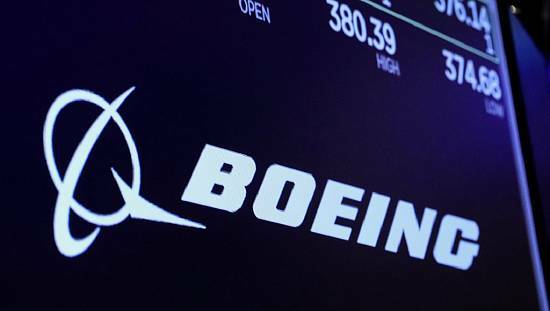 Local rebel groups were aided by western forces, specifically, the North Atlantic Treaty Organization (NATO) to overthrow the man who had ruled Libya for close to five decades. 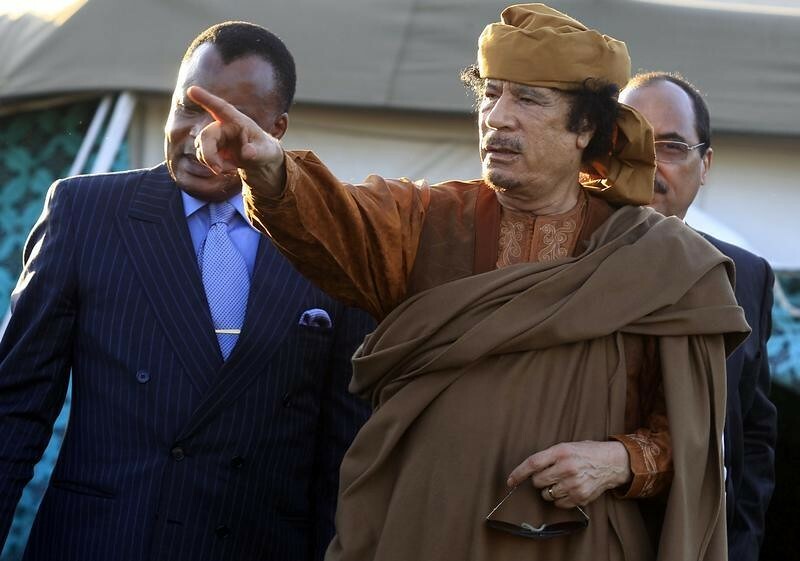 Today, Libya is split between rivals governments ruling different parts of the oil rich country. Insurgent group ISIS until recently had seized parts of Sirte only driven out by a government fightback. ‘‘We are in a period that is much worse than the last, and Libya is threatened with extinction,” said one resident in 2016. “After the previous regime fell, we hoped that with the will of God, things would be better because we expect a lot from our country. 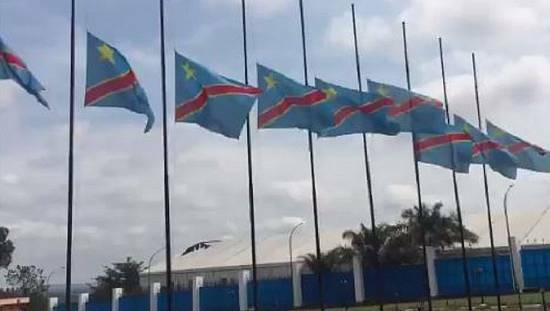 “We hope that those who love their country will unite for reconciliation, to create national reconciliation. 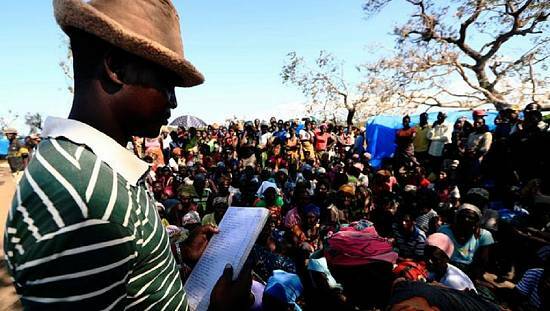 It’s the only way for the country to be built, God willing,” said another resident. He was captured and killed in his hometown of Sirte, he was born in the same place on 7 June 1942. 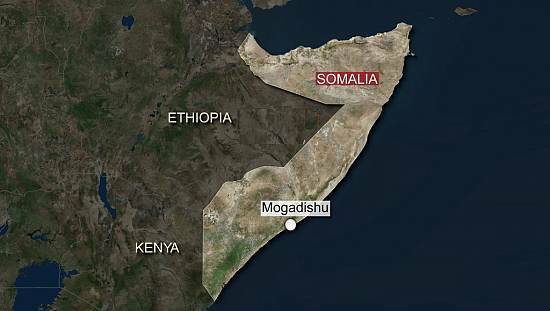 He seized power after a coup d’etat on September 1, 1969. 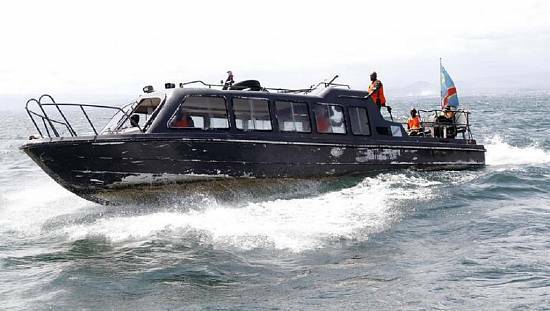 He promoted himself from ‘‘Captain’‘ to ‘‘Colonel’‘ after the coup. He married twice and had seven sons and a daughter. He developed what he called the third universal theory which is expounded in his infamous ‘‘Green Book’‘ published in 1975. 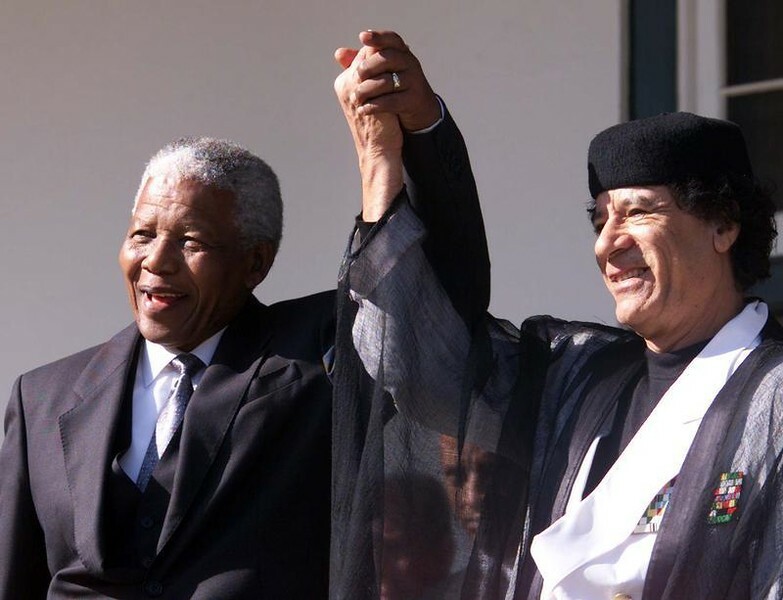 One of the most flamboyant and controversial political leaders of the last century, Gaddafi’s rise and fall is the subject of much debate till date. He was killed by rebel forces that captured him in his hometown of Sirte following a NATO-backed revolution in 2011. It was widely thought that his son, Saif Al-Islam Gaddafi, was going to be his successor but with his father killed, Saif is the subject of local and international court summons. Came to power: 1969 through a bloodless coup, ruled for 42 years and was killed at age 69. Succeeded by: No successor as yet, Libya is divided between political factions after Gaddafi was shot dead in 2011 by rebels. 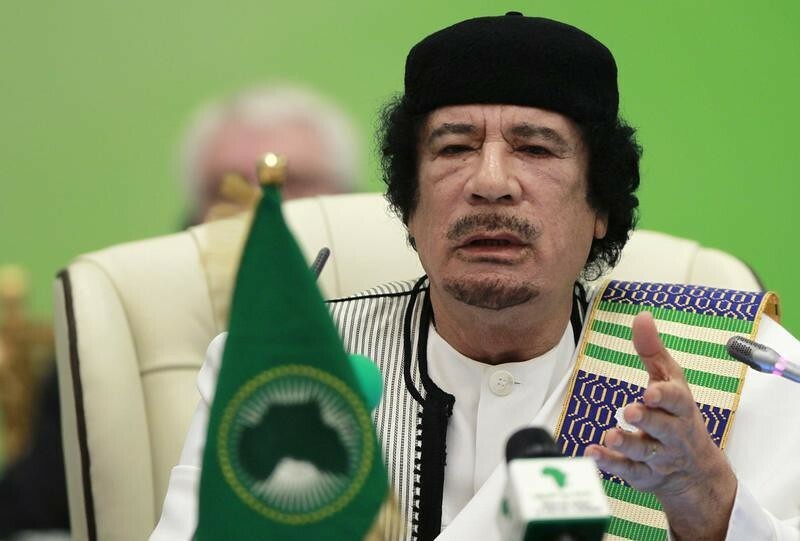 Libya’s leader Muammar Gaddafi delivers a speech at the start of the third European Union-Africa summit in Tripoli November 29, 2010. Libyan leader Muammar Gaddafi © talks with Congo’s President Denis Sassou Nguessou (L) and Mauritania’s President Mohamed Ould Abdel Aziz as they stand for photograph outside a tent in Gaddafi’s heavily fortified Bab al-Aziziya compound in Tripoli April 10, 2011. 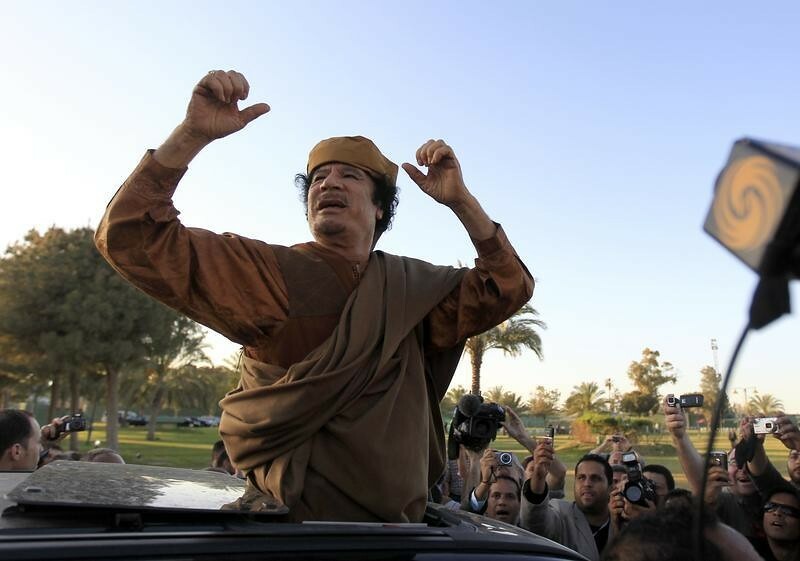 Libyan leader Muammar Gaddafi cheers his supporters, as he is surrounded by members of the media, after a meeting with a delegation of five African leaders at his Bab al-Aziziyah compound in Tripoli April 10, 2011. 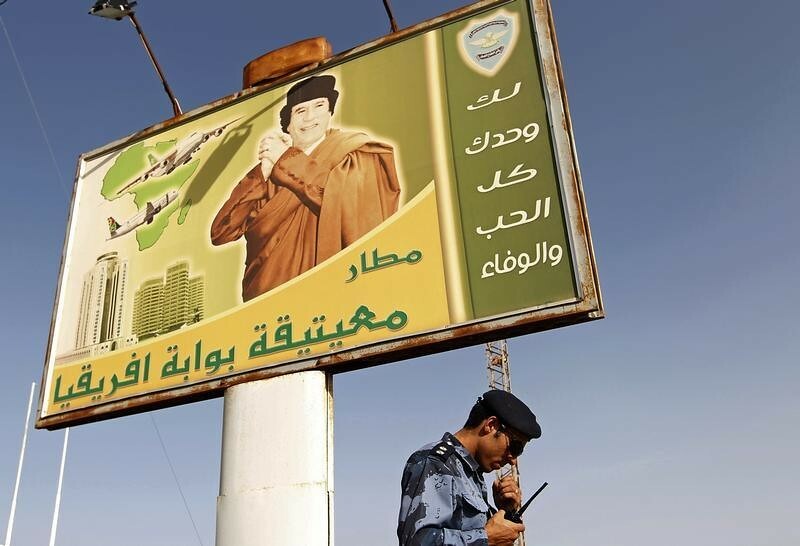 A Libyan policeman stands guard under a portrait of Libya’s leader Muammar Gaddafi at Tripoli’s military airport November 28, 2010. 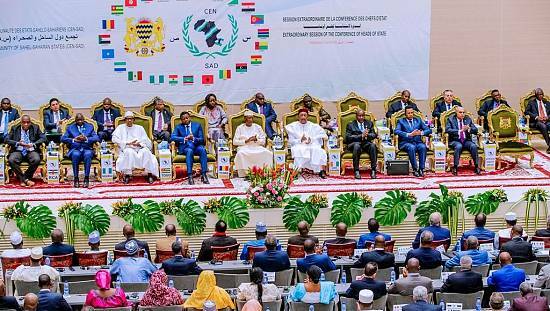 Libya will host the third European Union-Africa summit on November 29 and 30. 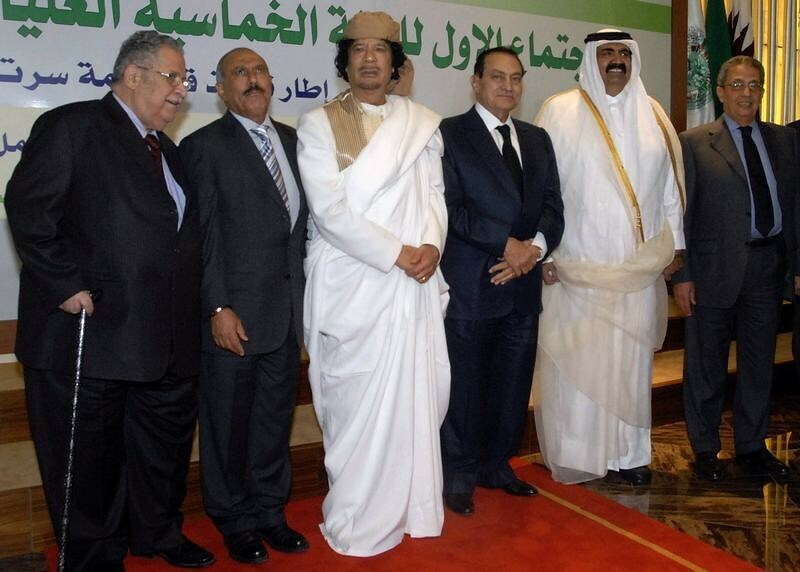 (From L to R) Iraq’s President Jalal Talabani, Yemen’s President Ali Abdullah Saleh, Libya’s leader Muammar Gaddafi, Egypt’s President Hosni Mubarak, Qatar’s Emir Sheikh Hamad bin Khalifa al-Thani and Arab League Secretary General Amr Mussa pose for a family photo during a meeting of five Arab states in Tripoli June 28, 2010. 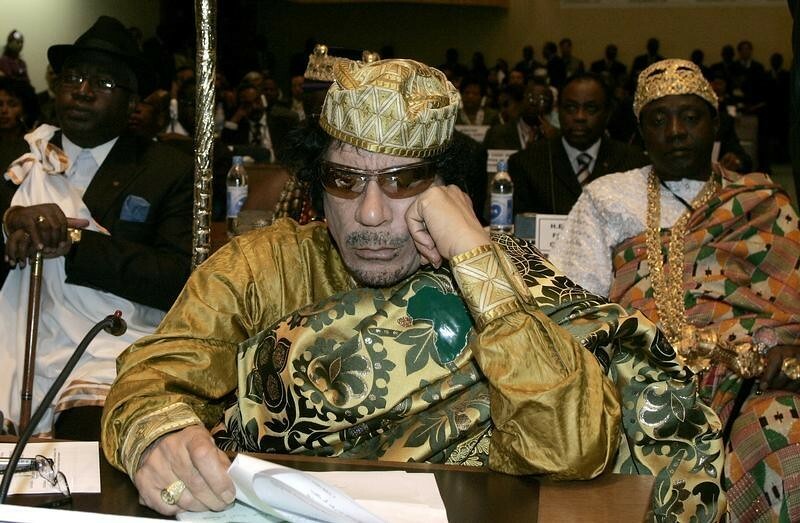 Libyan leader and the new chairman of the African Union, Muammar Gaddafi, listens in during the opening session of the 12th African Union Summit in Ethiopia’s capital Addis Ababa, February 2, 2009. 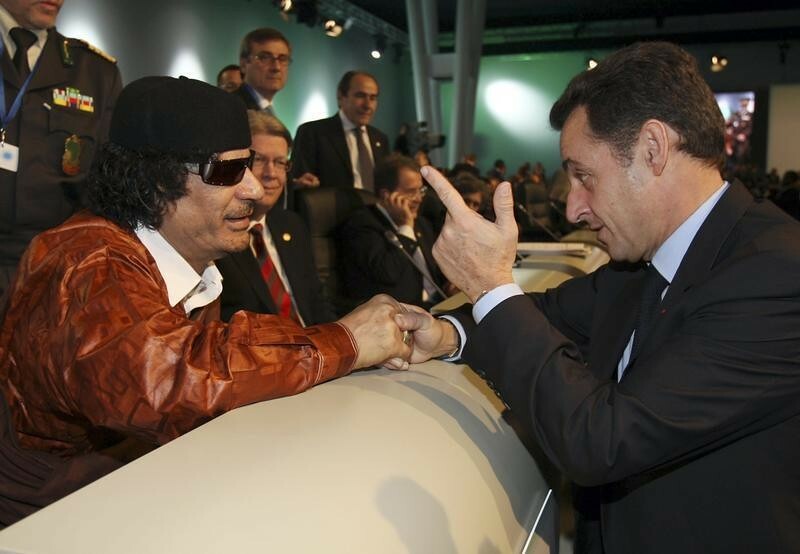 Libya’s leader Muammar Gaddafi (L) listens to France’s President Nicolas Sarkozy before their EU-Africa summit in Lisbon December 8, 2007. 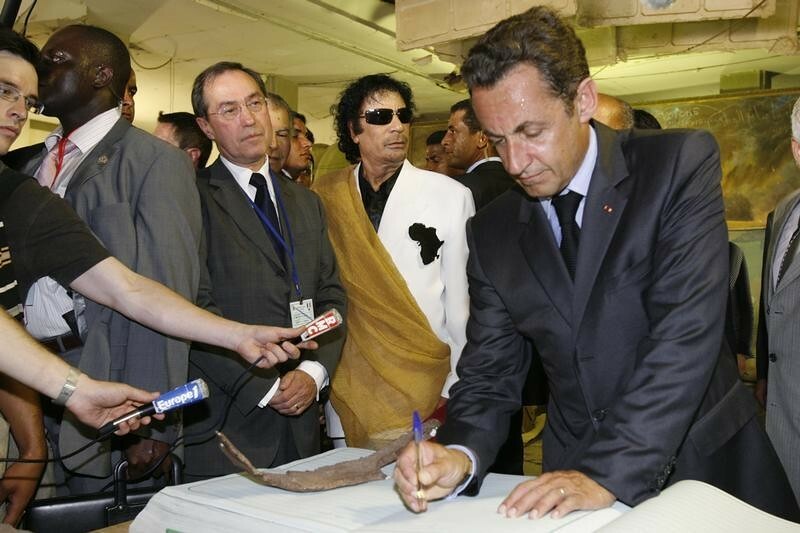 Libya’s President Muammar Gaddafi (2ndR), French President Nicolas Sarkozy ® and Claude Gueant (2ndL), General Secretary of the Elysee Palace, visit Bab Azizia Palace in Tripoli July 25, 2007 the day after the release of six foreign medics from Libyan jails. 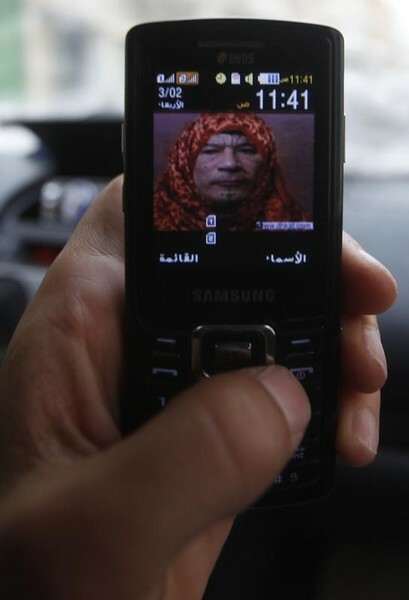 A man shows a picture of Libyan leader Muammar Gaddafi in his mobile in Benghazi March 4, 2011. 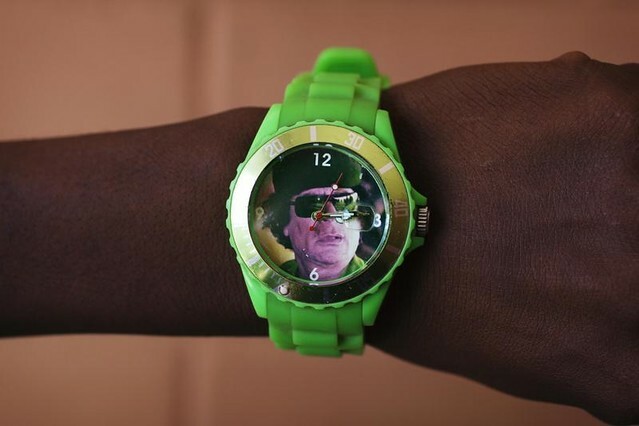 A man shows a picture of deposed Libyan leader Muammar Gaddafi in his wrist watch.